GlenAllachie distillery is releasing its first whiskies following its sale to Billy Walker last year, ahead of the launch of a full core range in June. The Speyside distillery is releasing six single cask bottlings from 1978, 1989, 1990 and 1991, with limited availability in various markets around the world. Walker, who led the purchase of GlenAllachie from Chivas Brothers in July 2017, has spent the past few months reviewing the distillery’s stock inventory. He said: ‘The past few months since we bought the distillery and its stock have been so exciting for the whole team. I’ve been able to try samples from some really remarkable casks of Scotch and to study how the spirit has evolved over time. 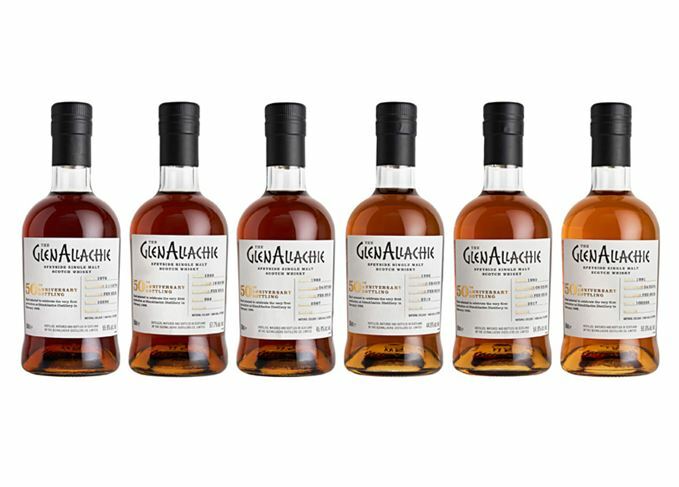 The release of the six single casks marks the 50th anniversary of GlenAllachie’s opening in 1968, although the distillery’s whisky has been mostly reserved for blending by its former owner. Walker added: ‘GlenAllachie has always been prized as an important blending ingredient, not just by Chivas Brothers but also by other whisky companies, which would buy casks to add to their own blends. Walker describes GlenAllachie as a ‘more muscular’ whisky than other Speysiders, demonstrating flavours from orange peel and grapefruit through to dark chocolate and cherries. The six single casks precede the launch of the distillery’s first core range in June.